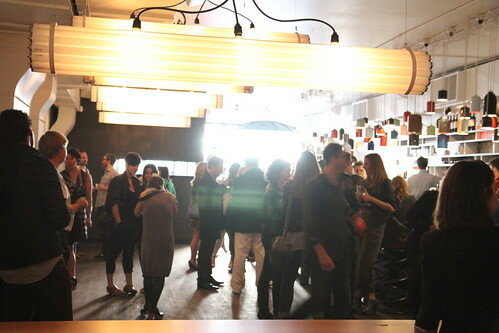 Parkdale's latest addition is an edgy new restaurant in what was once Halbert's Pro Hardware. Right next door to Cowbell on Queen Street West, Parts & Labour is a spacious new restaurant with fascinating decor and a menu for those with a little more sense of adventure. I loved the lights! From repurposed fire extinguishers above the bar, to fluorescent cylinders in the dining area, to classy dim incandescent fixtures in front of the kitchen. 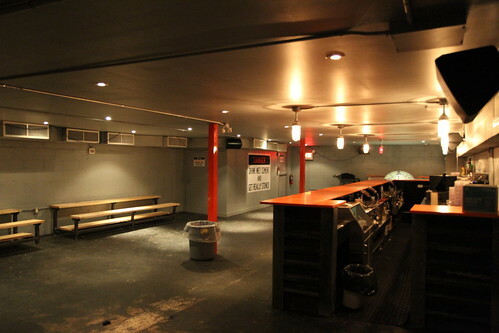 Underneath the restaurant is a performance space for indie bands to perform in an intimate setting. P&L aims to be if not all, many things to many people: an adventurous foodie mecca, punk rock / garage band venue, and trendy hipster bar. They even have a green roof where they grow their own vegetables. Some menu items of note include fried pig face, and lamb heart tartare. 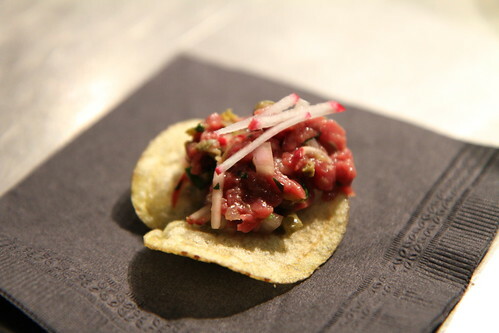 We got to sample the kitchen's expertise with some horse meat tartare and pig face croquettes, among other excellent fare. Parts & Labour - Definitely making Toronto's culinary and entertainment landscape more interesting.